Yamaha’s C5X is an elegant, beautiful 6’7″ grand piano derived from the style and performance of the Yamaha CFX concert grand. The C5X takes the high-quality components and design of the powerful CFX and models them down to a more conventional design for customers wanting exceptional grand piano action in the comfort of their own home. The C5X has a rich, powerful tonality and a functionally yet elegant design. MSRP: Starting at $63,899.00 On Sale! Contact us for Pricing! The Yamaha C5X is available to test out at any of our three Piano Gallery of Utah locations. Drop by any time during store hours to play the C5X piano and to experience its rich, resounding tones. 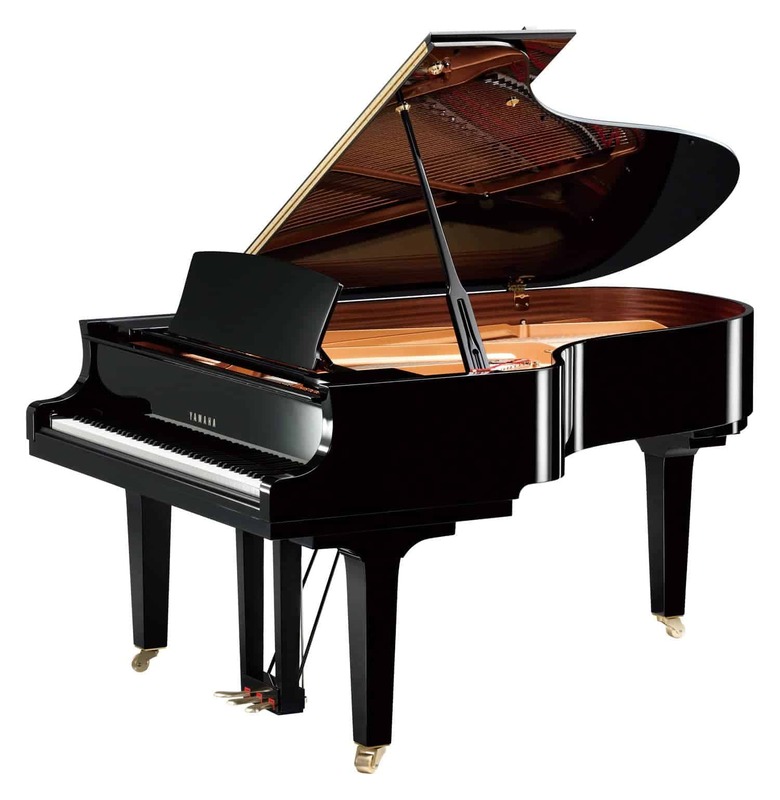 Thickened Back Frame – The Yamaha CX Series, including the Yamaha C5X, features a thickened back frame that is nearly 20% thicker than most standard piano designs. The thicker back frame prevents bending during powerful performance to accommodate the force of a fortissimo without losing any of the deep, robust tone. Updated Soundboard – The soundboard is responsible for transmitting vibrations from the piano strings into the surrounding airs. When Yamaha engineers fine-tuned the Yamaha CX Series soundboard, they designed a component that would further perfect the Yamaha sound, projection, and response. New Music Wire – The music wires of a piano create the sound of an instrument. The Yamaha C5X features new music wires that produce purer, richer sounds with a robust complexity of overtones and basses. These strings combined with the thick back frame produce a rich, full, and harmonic voice of the piano. High-Quality Frame – A high-quality piano frame must withstand total string tension in excess of twenty tons for the life of the piano. It also contributes to the acoustic characteristics of the instrument. Yamaha produces and engineers the frames for its grand pianos to provide the highest quality grand piano frame possible. Hammers based on the CFX Series – Unlike most piano manufacturers, Yamaha chooses to produce many of its own high-quality components, including its piano hammers. The Yamaha C5X grand piano utilizes hammers from the CFX concert piano, adjusted for the smaller piano size, to ensure the highest quality piano tonality, resilience, and power. Design based on the CF Series Concert Grand – Yamaha’s CX series is among Yamaha’s most modern series, featuring simple lines and unadorned elegance. This design is functional and modern. Would you like to experience the Yamaha C5X? Stop by one of our Utah Piano Gallery locations to hear and feel the quality of this amazing piano for yourself.